At Nubank, we build strong and diverse teams. It’s in fact one of our company values. 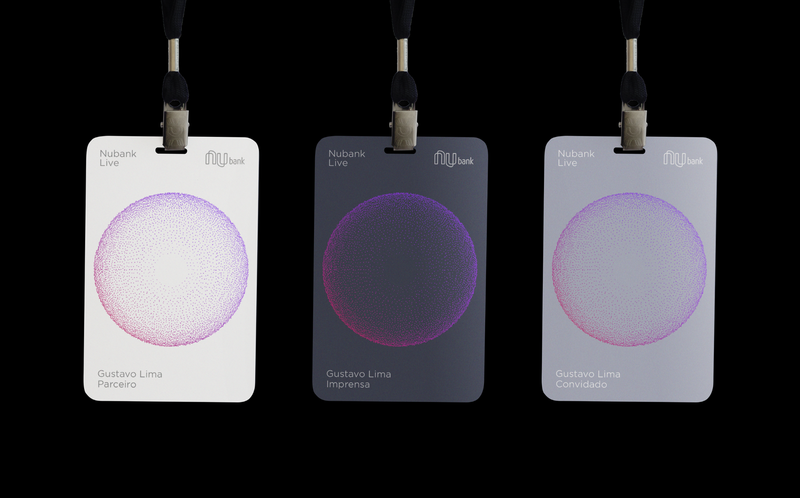 We rely on each other’s strengths to deliver the best possible experience to our customers — and it couldn’t be any different when we designed Nubank Live: an event to launch our digital account NuConta (there’s a little bit more about that here and here). The event was presented by our founder and CEO, David Velez and live streamed in a big PR effort that gathered more than 1,000 people in our Headquarter and more than 120,000 watching live on the internet — the third most watched video on Youtube Brasil that day. 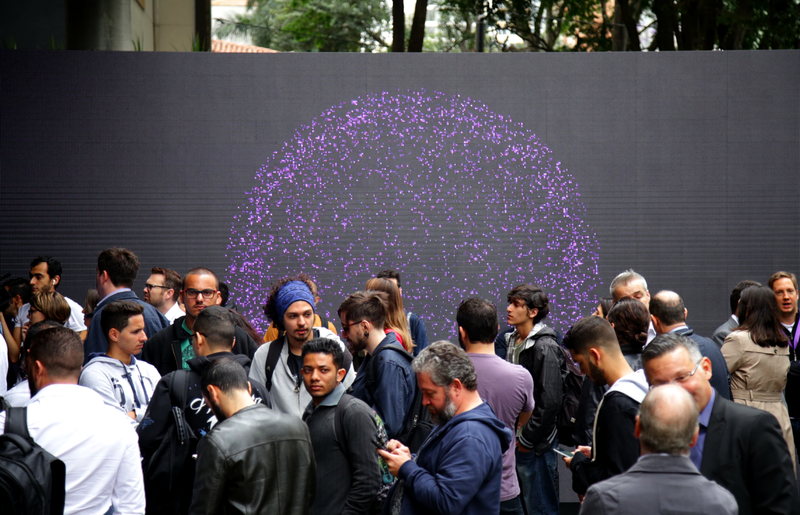 But wait… What do designers have to do with events? Good design is all about creating the perfect user experience regardless of the platform — and Nubank is all about delivering a great user experience to our clients. So, in our understanding, we weren’t done with NuConta once we developed it: it was part of the experience to present it to the world. So we needed to create an identity and all the visual elements that represented our vision of that. Our first step to creating the event was to gather designers with different visions and experiences (product designers, visual designers and engineers) and from that on, the conceptual discussions started. Design can be very abstract, but every design project always begins with the same two elements: the idea we want to convey and the concept behind it. 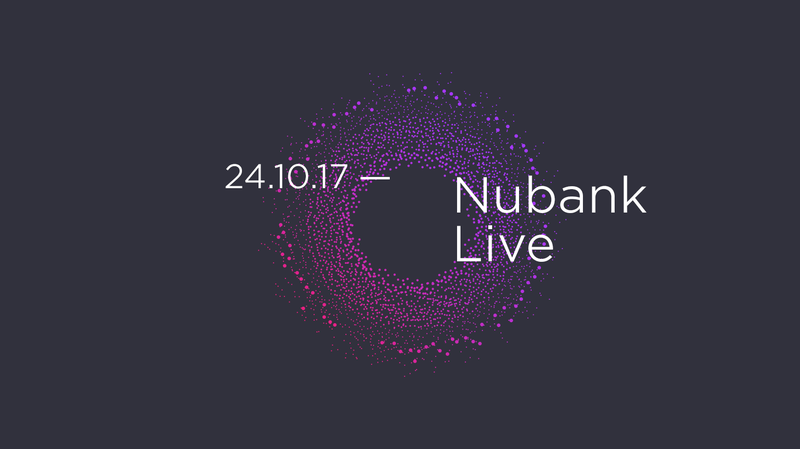 For Nubank Live, we had an explicit message: we wanted to show the world how work is done at Nubank. So our inspiration was very clear: a process based on a constant exchange with our clients. 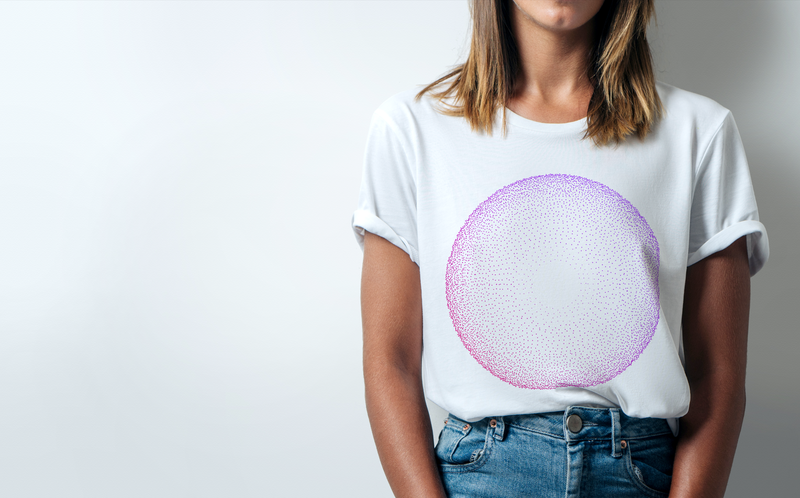 So, here was the core idea: an expanding circle, with thousands of particles floating around representing how Nubank connects with people, how we learn from these relationships with our clients and how, from that , we create our user experience. Before building things, we listen to our customers — we understand their problems and dilemmas and, only then, we can create solutions that truly address those needs. It’s a cycle of gathering input and building things back to the same people that gave us the input to build them in the first place. This process is part of our culture — and the NuConta launch event needed to highlight that. With that, we began to explore some layouts and, later, defined the visual language. We used processing to transform a static image into an animated one, reinforcing the concept of motion. 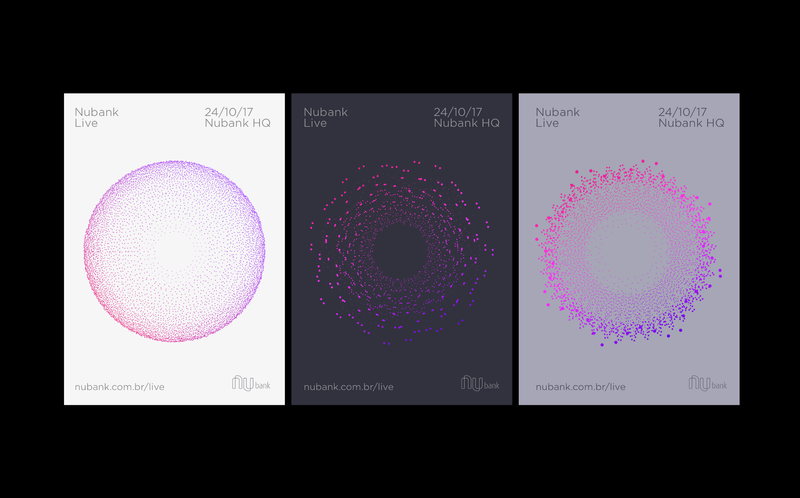 The particles expand from the core (showcasing how Nubank always moves towards clients and partners to learn) and then go back to the center of the circle (representing our teams working hard to deliver what’s expected — and more!). The pulsing represents the constant cycle of learning > applying > delivering > learning. NuConta is around for a few months, and we are improving the overall experience since then. All this process very much illustrates our belief and our focus on customer experience. From the product definition and development to how we launch and announce, we make it clear that the way we communicate is also part of an awesome product experience connected by design.